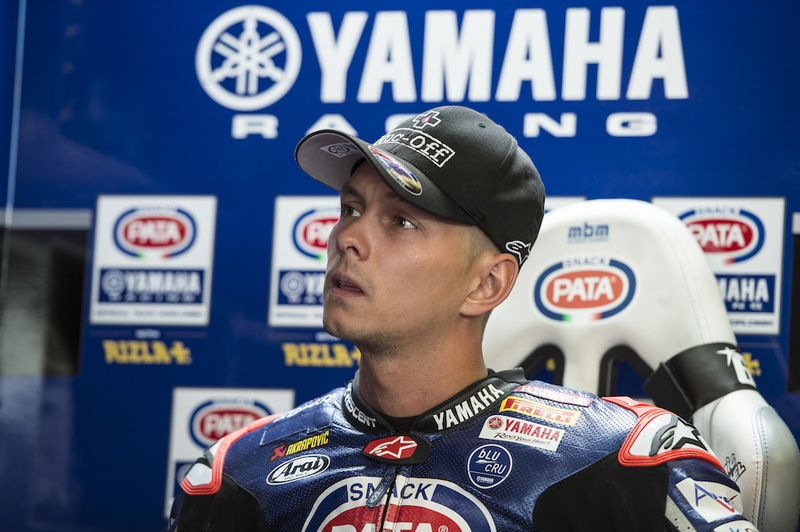 The Pata Yamaha Official WorldSBK Team enjoyed mixed fortunes on the opening day of Round 9 of the MOTUL FIM Superbike World Championship at the Misano World Circuit Marco Simoncelli. Alex Lowes ended the day fifth on combined times, while Michael van der Mark was disappointed to miss out on automatic entry to Superpole 2 after finishing in 12th position. The first two free practice sessions were held in the hot and humid conditions for which Misano is renowned, but the onset of rain late in the afternoon meant that the third and final 40-minute session was a washout, with only two riders venturing out to set a lap time. This increased the challenge faced by the team to fully evaluate the extensive tyre options provided by Pirelli for the tyre manufacturer’s “home event”. Michael van der Mark finished the opening 40-minute free practice session inside the top ten but slipped to 12th in FP2. The 25-year-old Dutch rider improved on his previous best lap time in the afternoon, but it wasn’t a big enough step to secure him automatic entry into tomorrow’s Superpole 2 session. The Pata Yamaha Official WorldSBK Team are back in action tomorrow, with FP4 at 08.45 CEST followed by Superpole 1 at 10.30 CEST.